Guthrie Fire Chief Eric Harlow. Crews have worked for more than a week to contain a massive wildfire that has torched more than a thousand square miles and killed one person and thousands of head of livestock in northwestern parts of Oklahoma. State budget cuts mean Oklahoma increasingly depends on other states to fight its largest and most dangerous wildfires. A week after the fire started, state forestry director George Geissler oversaw the state’s response at a makeshift operations center at the Woodward County Fairgrounds. The first responders were volunteer firefighters, rural fire departments and a small contingent of expert wildfire teams from Oklahoma Forestry Services. But a few minutes after our interview, Geissler turned over control to a team from Louisiana. Haze from the March 2017 Northwest Complex fire on the horizon near Seiling, Okla. The ranks of Oklahoma’s wildfire response unit have thinned, state human resources data and interviews with agency officials show. The firefighting force itself is down 15 percent in recent years, and Geissler has been unable to replace those experts due to budget cuts from state legislators and a smaller pool of revenue drained by low oil prices and tax cuts. 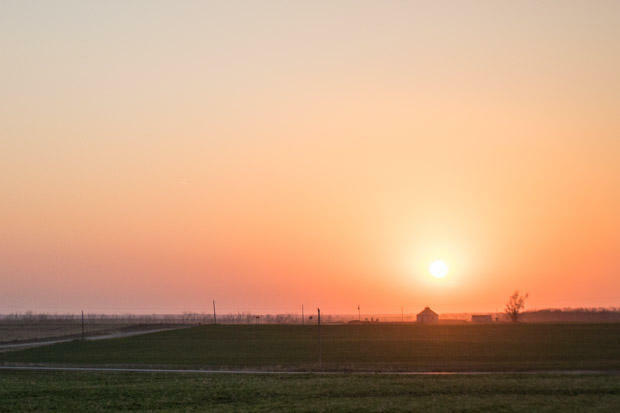 The Forest Service’s umbrella agency, Oklahoma Department of Agriculture Food and Forestry, took an 11 percent cut last year, and state funding dropped to $20.3 million from $29.2 million — about one-third — between 2008 and 2016, state budget data show. Geissler says relying on out-of-state fire crews to fight Oklahoma wildfires can be more expensive, and a lot less effective. One reason is that contract firefighters aren’t on-call to be staged if severe fire conditions are forecasted, and are only brought in after a big fire breaks out. It took several days for contract firefighters to assemble and arrive to fight the March 2017 wildfire — known as the Northwest Complex Fire — which was 83 percent contained by March 16, according to a forestry service update. The state has to pay those teams, and spend money feeding and housing them, Geissler says. “The other thing that you lose is the stuff that all of our firefighters do when they’re not fighting fires, which is work with the fire departments on training,” Geissler says. 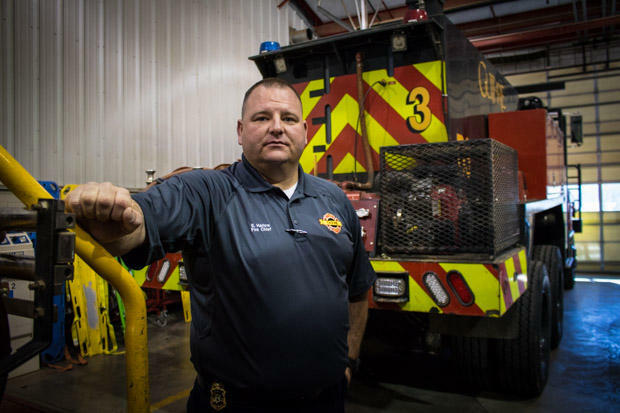 Guthrie Fire Chief Eric Harlow runs a city fire department, but his crew fights a lot of wildfires throughout Logan County, which has a hazardous combination of grasslands and populated neighborhoods. Researchers say climate change increases wildfire potential in Plains states like Oklahoma. State emergency planners say the hazard increases with population growth and periods of drought. The Guthrie Fire Department relies on Oklahoma Forestry Services to help it fight wildfires, but the agency also provides specialized training so city fire crews like this can better fight wildfires on their own. Harlow said the state’s expertise on fire behavior, terrain and tactics is unmatched in Oklahoma. “That knowledge … is critical because it’s not training that we normally get,” Harlow says. 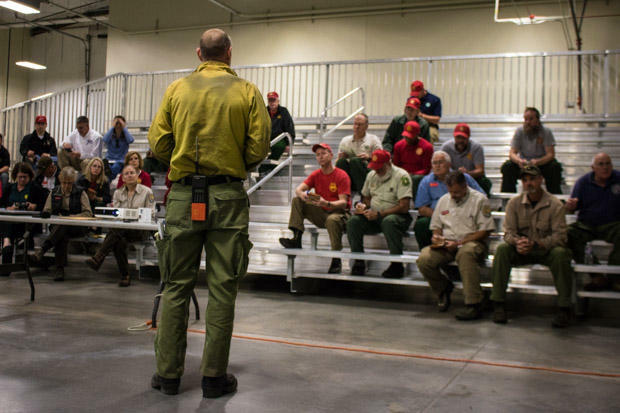 A wildland fire expert with Oklahoma Forestry Services briefs an out-of-state crew on the status of the March 2017 Northwest Complex Fire, which consumed more than thousand square miles and killed one person in Oklahoma. John Yoder, an economist at Washington State University and expert on the economics of wildfire management, says wildfires have proven perennially vexing for local, state and federal officials. “We either invest in reducing risk before fires happen, or we make decisions about how to fight them once fires start,” he says. Yoder says that balance is different for every state’s particular environment or budget situation. He says money spent on training, prevention and preparation like Oklahoma Forestry Services’ programs, is only effective if it’s spent before a bad fire season. “We can go and get rainy periods where, for a year, you don’t have a big fire,” he says. Those rainy periods often nourish grass, trees and vegetation that become fuel for future wildfires — that’s a major reason the current fire in northwestern Oklahoma and southern Kansas is so large. But fewer wildfires in those wet years, can mean the danger isn’t on the minds of legislators when they’re setting state funding priorities. 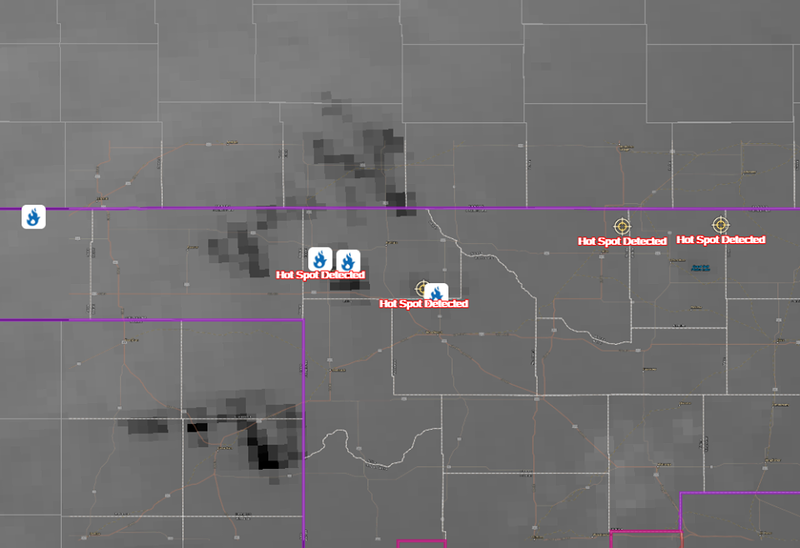 Wildfires spread across larges swaths of northwestern Oklahoma Monday, leading to evacuation warnings for several towns. Evacuation orders were issued for the communities of Laverne, Buffalo and Fort Supply in Woodward and Payne Counties. The evacuation order in Fort Supply only applied to community members and not to the William S. Key Correctional Center, according to Matt Lehenbaur, the emergency management director for the city of Woodward.